Dubai: Around 90 per cent of private school students in Dubai will not have their school fees increased by more than 2.07 per cent, it was announced yesterday. The Dubai Executive Council on Monday reviewed the updated School Fees Framework submitted by the Knowledge and Human Development Authority (KHDA). The framework is expected to be effective as of the upcoming academic year 2019/2020. 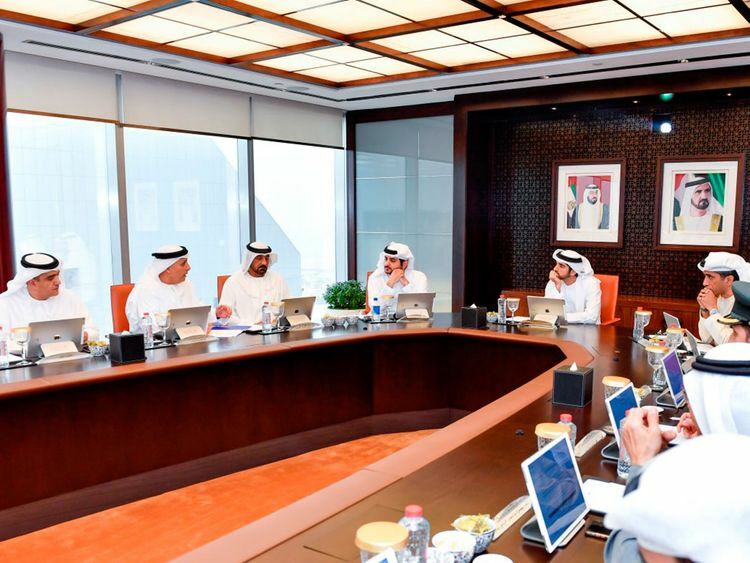 The executive council meeting was held at Emirates Tower and chaired by Shaikh Hamdan Bin Mohammad Bin Rashid Al Maktoum, Dubai Crown Prince and Chairman of the Executive Council. Stressing that education is a top government priority, Shaikh Hamdan said: “Our ultimate goal is to improve an educational system in line with the vision of His Highness Shaikh Mohammad Bin Rashid Al Maktoum, Vice-President and Prime Minister of the UAE and Ruler of Dubai, aiming to create a conducive and competitive educational environment. The framework, which was developed in cooperation between all relevant bodies based on feedback from parents and educational service providers, aims to diversify educational options for parents and facilitating access to high quality, affordable educational services. The framework takes into account the interests of students and their parents, as they are the beneficiaries of educational services. It also ensures creating a conducive environment for educational service providers to help them improve the quality of education in Dubai through an integrated mechanism that regulates school fees, considering the educational and economic aspects. The School Fees Framework, which will come into effect as of the next academic year 2019-2020, will strike a balance between parents’ needs and private schools’ requirements to improve the quality of education. The framework has been developed based on the annual assessment by the Dubai School Inspection Bureau (DSIB) and the education cost index approved by Dubai Statistics Center (DSC) to motivate private schools to enhance their performance and reward them when they improve the quality of education. According to the School Fees Framework, private profitable schools in which the quality of education is declining as assessed by Dubai School Inspection Bureau will not be allowed to increase their fees. Meanwhile, private profitable schools, which maintain their ranking (evaluation) will be allowed to increase their fees by the same value of the education cost index. As per the quality of education index in Dubai private schools over the past years, about 90 per cent of students are not likely to have their fees increased (in the upcoming academic year 2019-2020) by more than the value of education cost index estimated at 2.07 per cent, meaning that only 10 per cent of students will have their school fees increased by more 2.07. Accordingly, private schools whose ranking will be improved from Very Good to Outstanding will be allowed to increase their fees by 1.5 times of the education cost index value. Schools whose assessment moves from Good to Very good will be allowed to increase their fees by 1.75 meanwhile schools which move from very weak category to weak or from weak to acceptable will be allowed to increase their fees by the double of 2.07. In 2018, the Dubai Statistics Center has valued the education cost index at 2.07, accordingly, eligible private schools will be allowed to modify their school fees for the upcoming academic year according to the latest assessment of Dubai School Inspection Bureau, which will be announced later in the current academic year. As for the fees for non-educational services, such as school transportation, uniforms and school supplies, which are not included in the school fees, and taking into account the interests of parents, the KHDA proposed regulating any increase in these services in coordination with the concerned authorities.